Any problems please just contact us on 0416509295 or 02 6778 4505 or email us at sales@sunhillskin.com.au. All parcels under 5KG will be sent as regular mail/satchel through Australia Post. All other buyers outside Australia please contact us for shipping cost. Please use check out to complete your purchase if you choose to pay via PayPal (Quick and easy, reliable, secure service enabling you to fund your payment using your debit card, credit card, bank account and PayPal balance). Direct bank deposit into our account. Send your order via email. Please email your order with your Australian Cheque or Australian Money order payable to Corinne Annetts and post to Sunhill Skin Essentials, 645 The Gap Road, Uralla NSW 2358. (For international payments we do not accept foreign money order or bank cheques). For international payment we only accept PayPal. Once your payment is received, your item(s) will be shipped or posted within 48 hours of receiving cleared payments unless weekend or public holidays. International buyers are welcome. 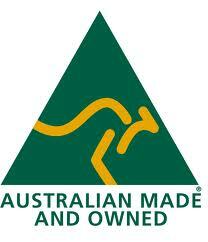 We use Australia post for delivery. The delivery policy within Australia should take about 1-7 business days and international buyers should take about 3-14 business days. Please understand that international delivery delays are a postal or customs delay. We do combine post so please ask before purchasing. Our preferred payment is through Paypal, Bank deposit, By Phone, Cheques and money orders. All goods listed on our website will normally be in stock. If an item is out of stock, however, we will advise you promptly and contact you to discuss revised delivery times or refund options. If you wish to change or cancel your order, you must immediately contact us by telephone on 0416509295 or 02 6778 4505 or email sales@sunhillskin.com.au and we will endeavour to accommodate your request, if the products have not been dispatched. We offer returns only if due to a manufactures fault. Postage and item cost will be refunded only to manufacturers fault or wrong item sent out. Sorry no returns or refunds on change of mind. Items faulty should be returned within 7 days for a full refund. Upon receiving item back we will determine whether you will receive a full back money refund. Item must be in original condition in which it was received. Returns to Sunhill Skin Essentials, 645 The Gap Road, Uralla NSW 2358. Please notify us if you are returning an item so we be aware of the return.